The #1 Reason Your Fans Don’t Come to Events is That THEY DIDNT KNOW ABOUT THEM!! Over 90% of Your Fans Will See Your Text in The First 10 Minutes!! MAKE A DIFFERENCE IN THE SUCCESS OF YOUR SHOWS? BE A USEFUL TOOL FOR YOU? You Spend a TON of Time & Money Promoting your Band / Venue. Would You Like to Get MORE Out of Your Investment? and Venues to reach More Fans. It takes less than 5 minutes to setup a campaign, and they get your message INSTANTLY! 94% of all text messages are read, and over 90% within 10 minutes of sending. Let’s face it, every fan has a cell phone……and uses text messaging to communicate with everyone…..family, friends, everyone!! 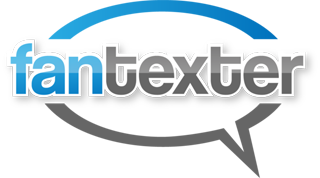 FanTexter helps bands and venues reach their fans in the easiest, cheapest, and quickest way to keep them informed about events!! What better way to keep them informed about shows, merchandise sales, new music and everything else you have happening than via weekly text messages? It is immediate, economical, and hypertargeted to your band’s fans!! Scotty has grown his text list to over 35,000 fans and is able to communicate with them about tourdates and other information instantly! Indian Ranch has grown their text list over the past years and has had great success offering pre-sales and running upgrade contests via text. Standard Text Message and Data Rates May Apply. For Help, send HELP to 71441. To unsubscribe from any Fantexter list, send STOP to 71441 or contact our support team or call 617-497-8366. © 2019 FanTexter. All Rights Reserved.